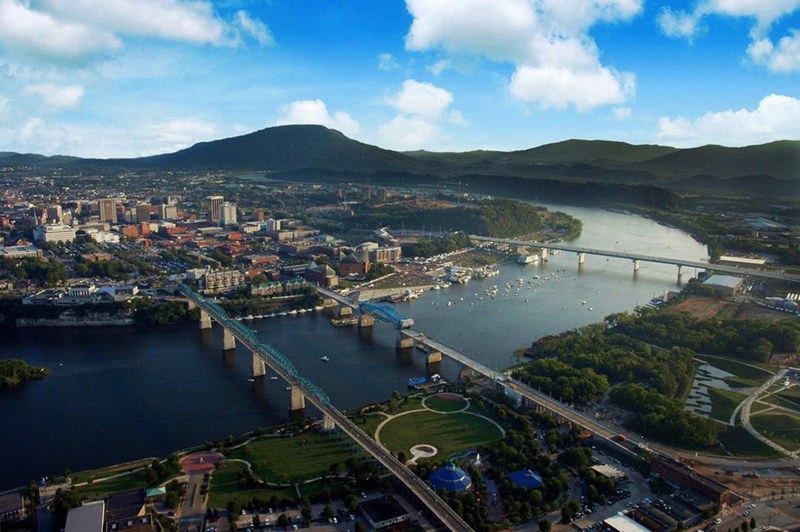 On the surface, it seems improbable that until 2012, there wasn’t actually a marathon within the Chattanooga city limits. After all, we host professional cycling races, massive triathlons, and some of the best trail running races in the country. The Chattanooga Track Club’s website lists dozens of races between now and the end of the year. Fortunately, the city didn’t crack down on Ken’s mental stability -- and the planning was underway. The year-long process of organizing that first race was filled with constant improvements to the course, and it resulted in the route that runners will tackle this October 19. The marathon, half marathon and 5K all begin in Renaissance Park. 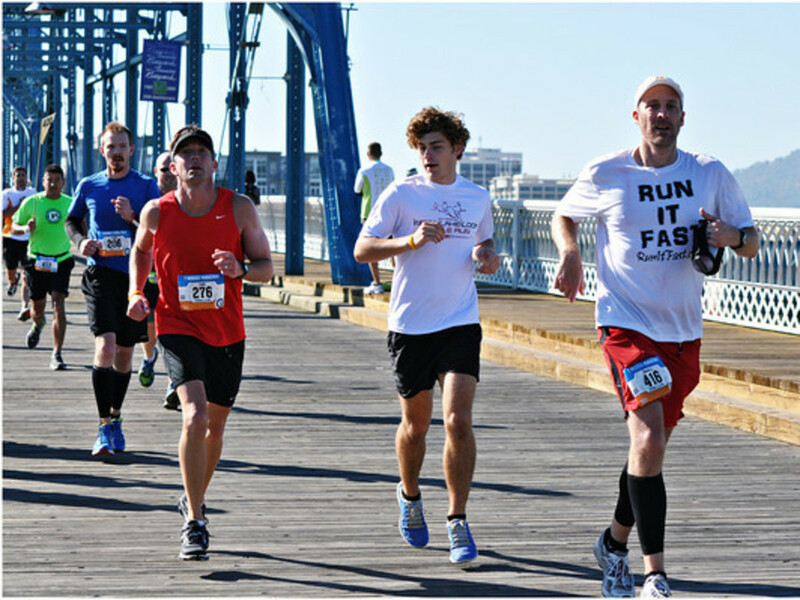 Chattanooga rarely makes life easy for runners, and the Seven Bridges Marathon doesn’t completely buck that trend. The course has enough elevation change to keep things interesting (about 445 feet of gain), but that’s a rate of only 17 feet per mile. 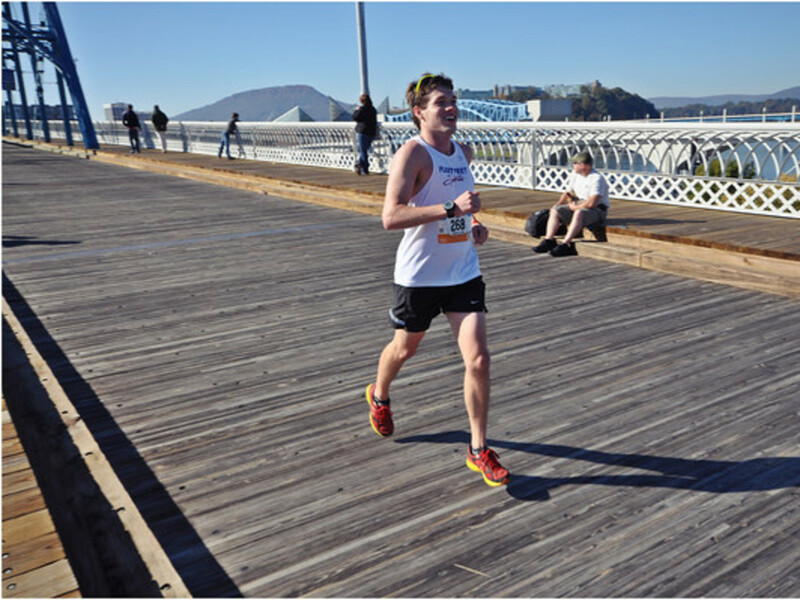 “One suggestion from the [Chattanooga Sports & Events] Committee was to run through Renaissance Park, which I think is one of the best features of the race -- because it brings everyone near the Start/Finish line at seven miles in, and makes the race more spectator-friendly,” Ken says. Market Street Bridge is first, right out of the gate. Next comes Olgiati Bridge (Hwy 27), which is a treat for runners who normally aren’t permitted to run on the interstate. That’s followed by Veteran’s Bridge, C.B. Robinson bridge, Thrasher Bridge (the Chickamauga Dam), the bridge over South Chickamauga Creek on the Riverwalk, and finally the Walnut Street Bridge. The toughness of any race is greatly influenced by weather. 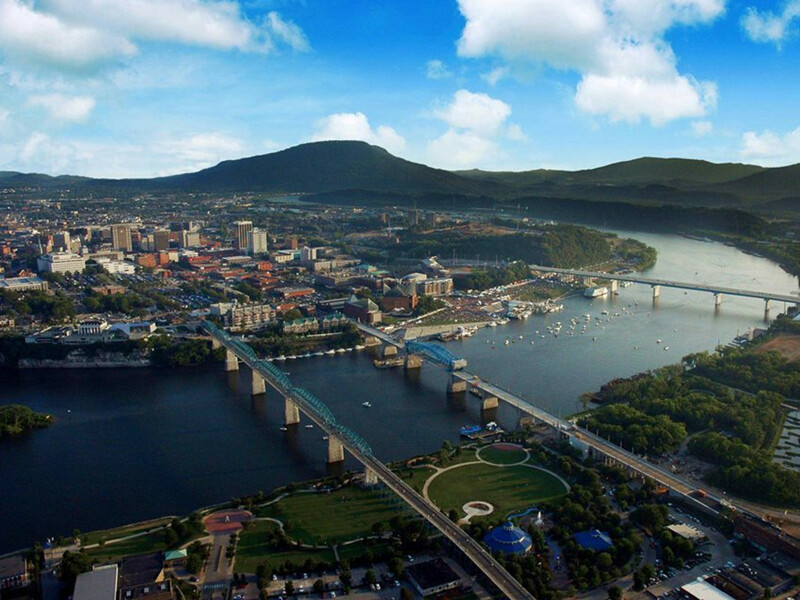 At this time of year, Chattanooga is “one of the most scenic cities on the planet” -- and most runners would agree. The temperatures are cool enough to knock the edge off, but not entering blue-lips territory. And the fall colors will be painting a fiery mural on the trees along the route. This year, there will be approximately 2,500 registered runners. That breaks down to 700 in the marathon, 1,500 in the half-marathon, and everybody else in the 5K or family fun run. So far, there are runners registered from 37 states and two Canadian provinces. Over one thousand of those are from Tennessee alone. And in three years, Montana, North Dakota and Hawaii are the only states that haven’t been represented. Of course, Ken can’t fire the starting gun without some logistical magic. They’ll have 250 volunteers to feed, water, and guide the athletes. Total man hours? “Not sure my calculator goes that high,” he jokes. Runners will consume over 5,000 energy gels and 1,000 gallons of water and sports drink. They’ll eat hundreds of energy bars, bagels, candies and pieces of fruit. 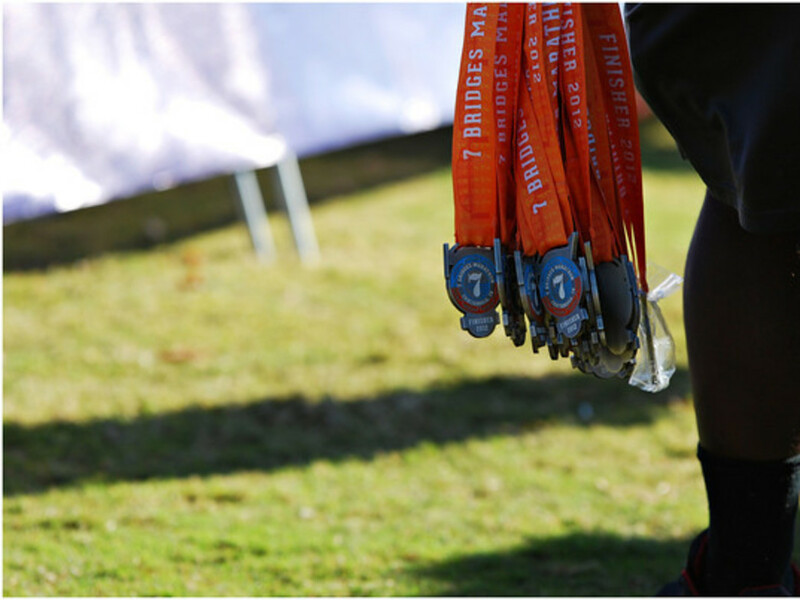 And when they cross the finish line in the heart of Coolidge Park, volunteers will drape medals around their necks for tackling the distance. Brandon Wright says he chose to run the 7 Bridges Marathon because of the scenery in Chattanooga. "For the five years I've lived here, the bridges have been my main running route... so why not race on them?" He says his favorite part of the event was crossing Walnut Street Bridge at mile 26, with crowds lining the route -- and a view of the finish line below. Expect to see an increase in happiness -- and speed -- when runners glimpse Coolidge Park with less than a quarter mile to go. As runners know, there's usually enough left in the tank for a strong finish. When the lactic acid has cleared, all that's left is the healthy sense of accomplishment. And that's alright, because running seven bridges only comes around once a year. Have a safe, fun, fast race! The race will be held on October 19th at 7:00 a.m. To register, click here. Click here to read about a couple who has run a combined total of 578 marathons and who will be competing in this year's 7 Bridges Marathon.